MegaMan Ayla - The Home of Mega Man: Guides News Roms & More! I have opened a new Twitch channel as mety333 where I'll be streaming Mega Man games and lots more so feel free to tune in to the live streams where we can play and talk about the games we love together! I have collected a LOT of Box Artwork from all the Mega Man Series and you will be amazed by the amount of Box Artwork I have added. I really need to start working on the Miscellaneous section though. I have finally added the very rare and interesting Playstation Rom of Super Adventure Rockman so you can go ahead and download it from the Roms section. It consists of 3 CDs; each CD is an episode. There is a lot more of new content coming up so stay tuned! Mega Man Battle Network 1/2/3/4/5/6/BCC/NT Info Pages! I have finished most of the Mega Man Battle Network Series information pages of Mega Man Battle Network, Mega Man Battle Network 2, Mega Man Battle Network 3, Mega Man Battle Network 4, Mega Man Battle Network 5, Mega Man Battle Network 6, Mega Man Battle Chip Challenge and Mega Man Network Transmission. They cover the games specs, stories and a lot of box artwork. 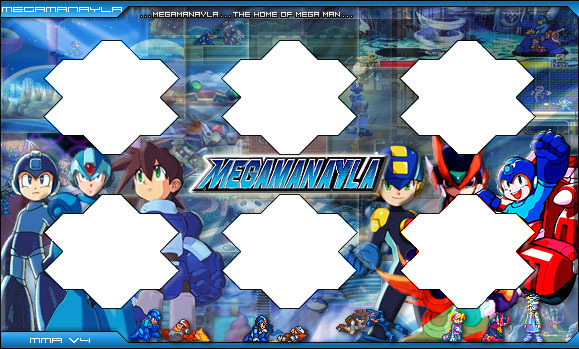 The Mega Man Battle Network section is now 44% completed! I will soon add more Mega Man Roms to the collection so stay tuned!